To get started with Mimer Metrics you need to connect to your Google Analytics account. 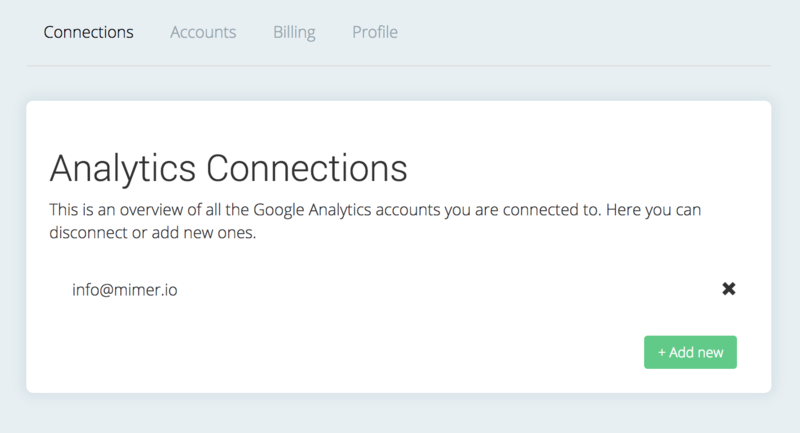 You can add more than one Analytics connection if you need to access different accounts. We use your Analytics data to generate the dashboards and reports and therefore you need to give us permission to receive the data. Here's how. 2. Press the button "+ Add new"
3. 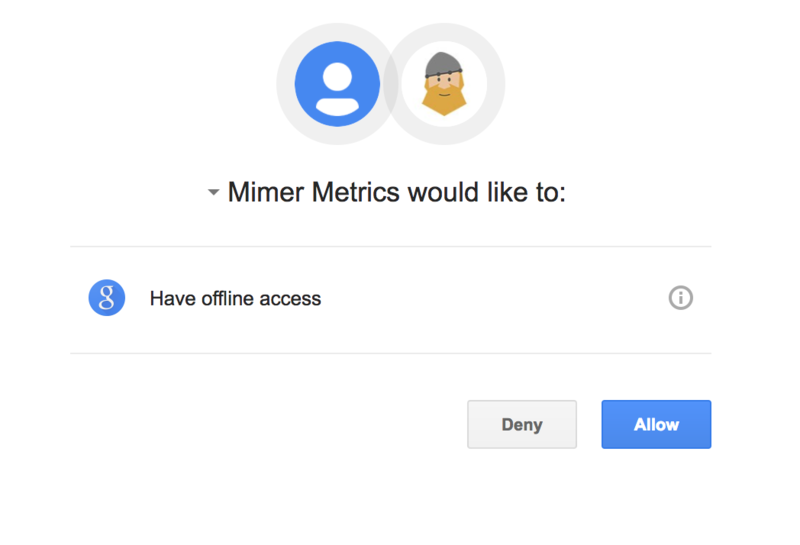 Allow Mimer Metrics to get read only access by pressing the button "Allow"
Now you can add dashboards or reports based on the Google Analytics Properties in the connections you have added.